Applications for REU 2019 are open. Apply Now! We understand that the new generation of engineers want to work on compelling, societal-scale problems, and autonomous cars are certainly fall into that category. Almost all applicants to the program will have a driver's license, but this not a constraint in getting involved in research projects that requires designing algorithms to address the computation, communication, and control aspects of the connected and autonomous vehicle technology. Accepted students will be working with (full-size) robotic car, which is part of the active research portfolio of the PI, and has been used to design student research topics. Various interfaces to the vehicle will be exposed, enabling students to work on specific projects that analyze data while the car is in use, or that carry out experiments with the car. Reminding your letter writers to submit their recommendations. Look! No Hands! Would you use a self-driving car? Sterling Holcomb, Audrey Knowlton, and Juan Guerra published results of their research project in WinnComm'16, the Wireless Innovation Forum Conference on Wireless Communications Technologies and Software Defined Radio, in Reston, VA. Their paper, titled "Power Efficient Vehicular Ad Hoc Networks" was a new approach for Vehicular AdHoc Networks (VANETS) that represents a significant reduction in power use. This benefit enables more vehicles to communicate simultaneously. Through simulation, students showed that their approach to VANETs maintains its update frequency despite bumper to bumper traffic and uses two to five orders of magnitude less power than an IEEE 802.11 network with clustering and 1 mW transmit power. Overall, the network performed well and is a viable improvement to the standard. The paper was presented in the technical track, "Top 10 Most Wanted Wireless Innovations." S. Holcomb, Knowlton, A., Guerra, J., Asadi, H., Volos, H., Sprinkle, J., and Bose, T., "Power Efficient Vehicular Ad Hoc Networks", WInnComm. Reston, VA, pp. 26-31, 2016. Yegeta Zeleke and Kennon McKeever published results of their research project on Constraint-Based Modeling of Autonomous Vehicle Trajectories in the 15th Workshop on Domain-Specific Modeling, which is the longest-running workshop in the history of SPLASH/OOPSLA. Their paper, titled "Experience Report: Constraint-based Modeling of Autonomous Vehicle Trajectories" focused on enabling young students (e.g., in elementary school) to safely control a dangerous robot, such as autonomous car, through the application of constraint-based checks during the code generation process. Their experience report discussed the creation of a domain-specific language that allows for faster programming of autonomous vehicles while ensuring valid constraints will be met. The language generates code for multiple controllers that will operate alternatively to allow for fast and effective programming of vehicle trajectories using primitive motions. In addition to improving coding efficiency and reducing the number of programming errors, the language adds a level of abstraction so that autonomous vehicle behaviors may be generated by people with little knowledge of low-level details of the car’s operation. Furthermore, this language ensures safe operation of the vehicle by enforcing a set of user-definable constraints on the output path. A main set of constraints that are applied to every generated path have been specifically chosen to enforce safe switching between controllers and prevent the planning of unsafe actions. A novel application of the language is its ability to permit users to add specific constraints for a particular path; these constraints are checked for validity after the main constraint check is performed. 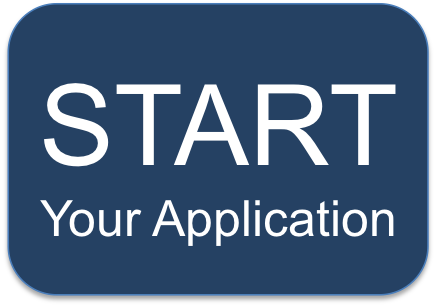 Start your application process here. We use the CISE REU Common Application, which allows you to be considered for other REU Site opportunities (if you elect to do so). This is Part 2 of the application process: you must also fill out the CISE REU Common online application form for Arizona, if you have not done so already. You can revisit this page at any time to upload your application materials, but please only fill out the form one time. Update: If the form fails to submit and provides the error message(s) "Statement of Purpose Field is Required" and/or "Transcript Field is Required", then add your files but do not press the upload button. This is a documented problem with the latest version of our web server. Students will participate as researchers for the summer, working side by side with graduate researchers and faculty who are experts in cognitive radio and autonomous ground vehicles. Want to know more about what the REU is like? Check out the videos made by previous CAT Vehicle participants. In this research project, students used verification methods to produce safe code for the CAT Vehicle, the autonomous vehicle being developed at the University of Arizona. The verification methods ensure that the network of the autonomous vehicle runs within four constraints. The four constraints are cost, processing power, bandwidth, and latency. Operating within these constraints allows the car to maximize its data processing potential. In this project, students developed a comprehensive lane-detection and lane-following system for autonomous vehicles. Their system was tested using hardware-in-the loop simulation and used sensors such as stereocamera, GPS and gyroscope from a mobile device. In this project, students measured the occupancy of the TV white space and performed simulation to show how a network using this band performs under the multiple scenario of everyday driving. In this project, students created a high-level domain-specific modeling language for non-experts to design behaviors and run them on an automated vehicle. This project aims to detect and track other vehicles with increased precision using LIDAR and create a better model of traffic flow. This opportunity is supported by the National Science Foundation and the Air Force Office of Scientific Research, under Awards CNS-1659428, IIS-1262960 and CNS-1253334. The project is managed by Prof. Larry Head (PI) and Prof. Tamal Bose (Co-PI). Any opinions, findings, and conclusions or recommendations expressed in this material are those of the author(s) and do not necessarily reflect the views of the National Science Foundation. Copyright (c) 2013-2017, Arizona Board of Regents. Contact Us.